You’ll hear it first before you see it, a crescendo of grunts and the clattering of hooves as giant herds of wildebeest, zebra and antelope make their way across the never ending plains. Known to many as the ‘Greatest Show on Earth’, the great wildebeest migration is a popular phenomenon to witness, and one that never fails to take our breath away. 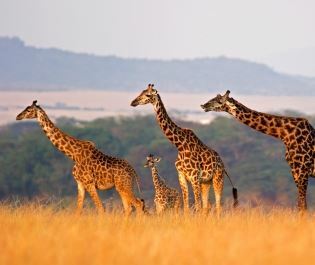 The endless savannahs of Serengeti National Park and Masai Mara Game Reserve are host to this spectacular event. Though settled in two different countries – Tanzania and Kenya – the two parks share the same ecosystem, offering a similar route that continues year-round. The route is determined on the weather, as the animals search for new grass and fresh water to graze on, but you can usually predict where they’ll be at a certain time. Our favourite time to witness the splendour of the migration is between August and September, when the herd moves through northern Serengeti and begins its treacherous journey over the river to southern Masai Mara. With stealthy crocodiles waiting to attack, this part of the journey is a matter of life or death, but the fertile plains that await reap plenty of rewards. They even cross the river a few times to make use of the grazing on offer, so should you wish to see the herd of two million wildebeest roaming past your camp, this is perhaps the best time to visit. Nevertheless, other parts of the route are a sight to behold too. From July to October southern Masai Mara Game Reserve is a haven for the animals thanks to its verdant plains, but is also full of predators wait to pounce on the unsuspecting herd. Meanwhile, the short rain falls that take place late November to December in the south of Serengeti – including the Ngoronogoro Conservation Area and Seronera – offer endless grassy plains, and is the best time to see the herd spread out across acres of land. The Western Corridor in Serengeti is a great spot too, with hundreds of wildebeest, zebra and antelope venturing near southern Grumeti Private Game Reserve between April and June. 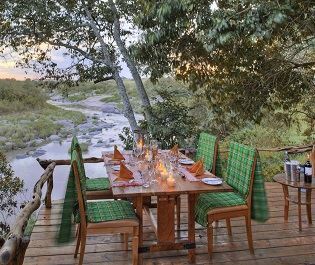 With the incredible river crossings in mind, Lemala Kuria Hills Lodge is a brilliant choice, perched on the main corridor of the migration and offering a fantastic front row view of the eventful Mara River crossings. Serengeti National Park is certainly our first choice for migration viewing – with 97% of the Serengeti-Mara ecosystem, and with less crowds, you’re almost guaranteed to witness the migration making its route through the plains. 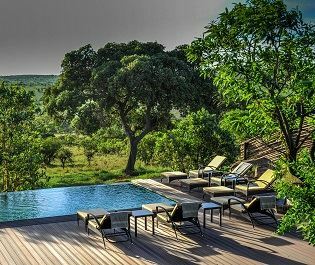 Singita’s Grumeti Private Reserve is a key spot to visit between June and July, well-known for its stunning views of the phenomenon and offering luxurious accommodation, including the rustically luxurious Singita Faru Faru Lodge. 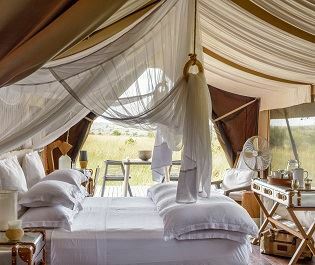 With comfort in mind, the Singita Mara River Tented Camp offers luxury and style right on the banks of the Mara River too. 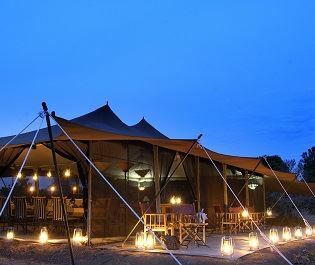 If Kenya is your port of call, it’s best to stay in the southern part of the Masai Mara Game Reserve, especially sticking to the more exclusive conservancies. 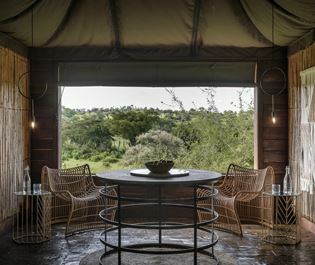 Porini Lion Camp, nestled in the Olare Motorogi Conservancy, is one of our favourites, whilst Rekero Camp nearby Talek River is a popular spot for grazing wildebeest after journeying across the crocodile-filled Mara River. Stick to only one spot and there’s a small chance you might not catch a glimpse of the migration, or perhaps you want to steer away from the popular and therefore busier parts of the route. If that’s the case, there are plenty of brilliant mobile camps that move with the herd, opening new camps in different parts of the parks at certain times of the year. 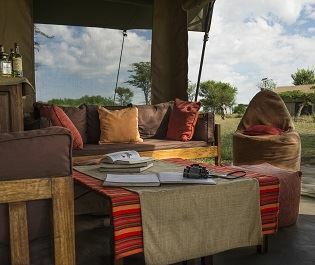 Ubuntu Migration Camp is an excellent example, opening in south Serengeti from December to March, north Serengeti from July to November, and west Serengeti from May to July, offering a jaw-dropping views all year round.